Pearls have a lot of history attached to them. They aren’t just fine pieces of jewellery but something that everyone who wears them can rely on. Don’t believe us? Take a look at five beautiful reasons why pearls will always be a prized possession. Pearls have been used for centuries, for weddings, graduation parties, milestone achievements, social occasions and so much more. Just like people, every single pearl is unique. They are worn in different ways and styles and have evolved over the years too, yet they are a reminder of our traditional roots. Pearls are a beautiful and pure representation of love. Just like the baby that develops in the womb of its mother, pearls are formed similarly in the tissues of molluscs and mussels. 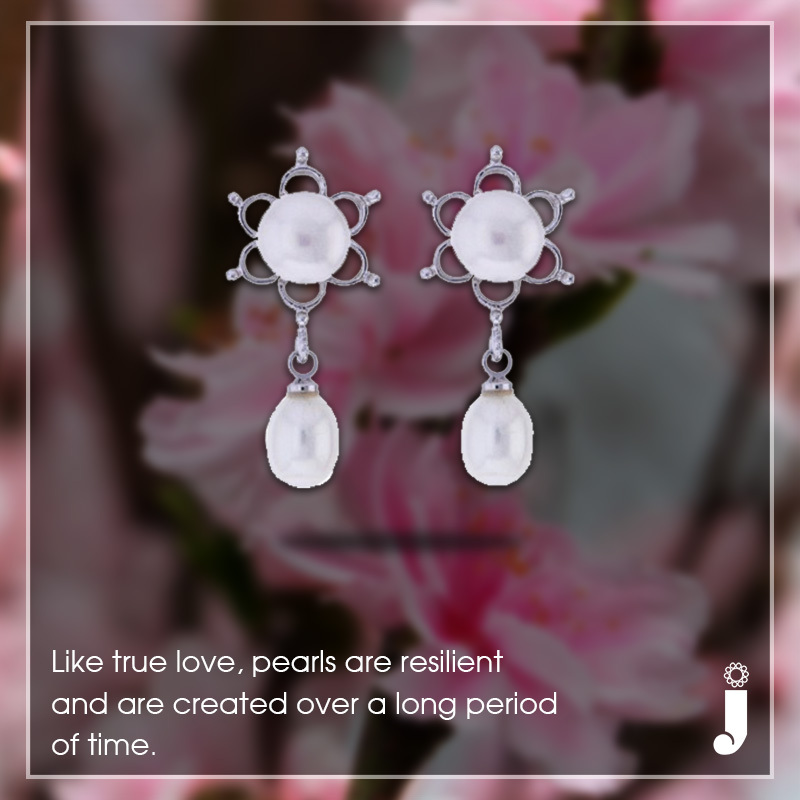 Pearls represent love and the strong relationship that you share with your significant other. They are resilient and are created over a period of time. Ground pearls are filled with amino acids, trace minerals and magnesium. This has entered the world of Western wellness and is being used as a nutritional supplement for women. Researches also suggest that pearl powder prevents digestive issues, osteoporosis and discoloration of skin. Jewellery patterns are constantly evolving with the passage of time, as is the case with all other aspects of fashion. 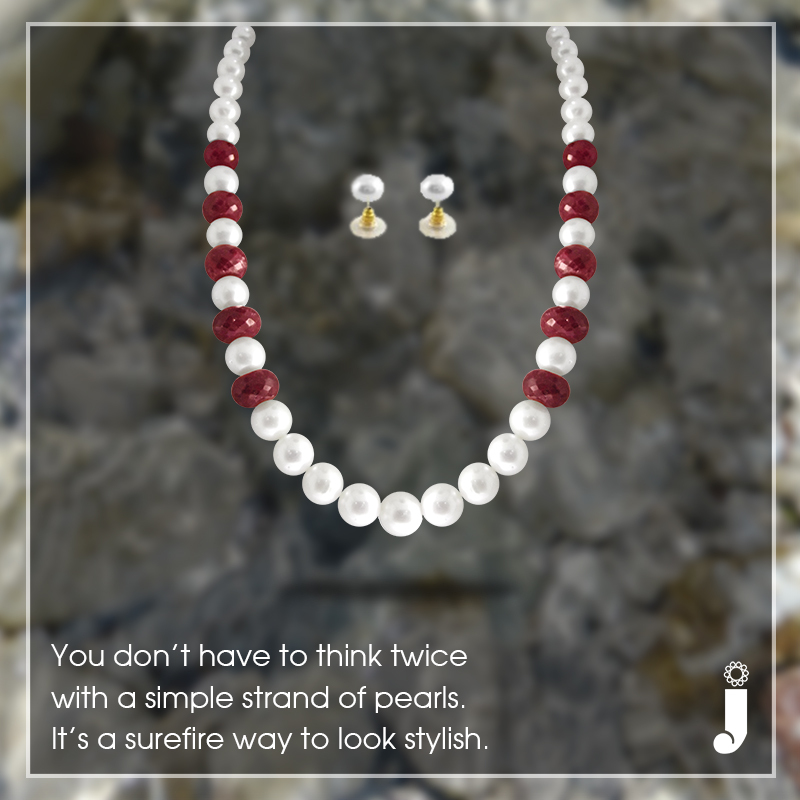 A simple of strand of pearls however, is timeless, and you can never go wrong with it.